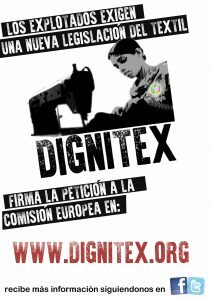 The Greens/EFA in the European Parliament reveal that Inditex has saved at least €585 million in taxes during the period 2011-2014, by using aggressive corporate tax avoidance techniques, mainly in the Netherlands, Ireland and Switzerland. You may not know Inditex, but you surely know Zara, Massimo Dutti or Pull&Bear, some of the brands owned by Inditex. Our research looked in detail at their financial accounts and shows how some of their profits are moved to the Netherlands through royalties. Royalty payments are made by many companies for the right to use a brand name. It’s a bit like if you were paying your parents (or Grandma) for the right to use your family name. It is a well-known trick for large companies who wishes to transfer profits to countries where taxation is lower (in this case the Netherlands). This is not a small matter, as we estimate the amount lost per country to run to millions over 2011-2014: €218 million for Spain, €25 million for Germany, €57 million for Italy, €76 million for France, €20 million for Greece, £22 million for the UK, €18 million for Belgium and €6 million for Austria. We have also uncovered examples of Irish companies belonging to Inditex which report millions in turnover but have not a single employee or haven’t paid corporate tax at all! All in all, the report shows how large companies like Inditex can and do structure themselves to take advantage of the lowest tax rates and the lack of harmonisation of tax systems at the European level. There is indeed a huge difference between the Inditex companies. Many of them are dedicated to pure retail and they usually have low profit margins (between negative figures and 5% only). But other Inditex companies specialising in financial management, branding management, e-commerce or insurance business have much higher net profit margins: between 20% and 70%. Curiously, they are all located in countries known to have very accommodating tax legislation. In this case: Netherlands, Ireland or Switzerland. This report is a plea for greater tax transparency by large companies. Citizens, buying the products of these firms, have a right to know whether they will later pay their fair share of taxes. Public information about where companies employ people, where they declare profits and ultimately where they pay taxes is not a luxury, it’s a must. But our dear governments are doing everything they can to prevent this, despite the European Commission and the European Parliament advancing the issue. Just very recently, countries like Germany, Ireland, Luxembourg, Austria, Cyprus, Sweden and Finland have lobbied the European Commission to ensure the tax transparency revolution will never happen. Without tax transparency as a first step, the multinationals and their tax consultants, together with states who choose to engage in destructive tax competition, will continue to get around efforts to clamp down on tax avoidance. We believe we shouldn’t have to ask Santa for it as a Christmas present. As Greens, we will push to make it happen in 2017 . Previous PostPrevious State sponsored Forced labor in Uzbekistan. 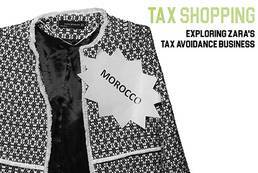 Next PostNext Tax Shopping: Exploring zara’s avoidance business.